Hi, everybody! Hope everyone is having a great Saturday. 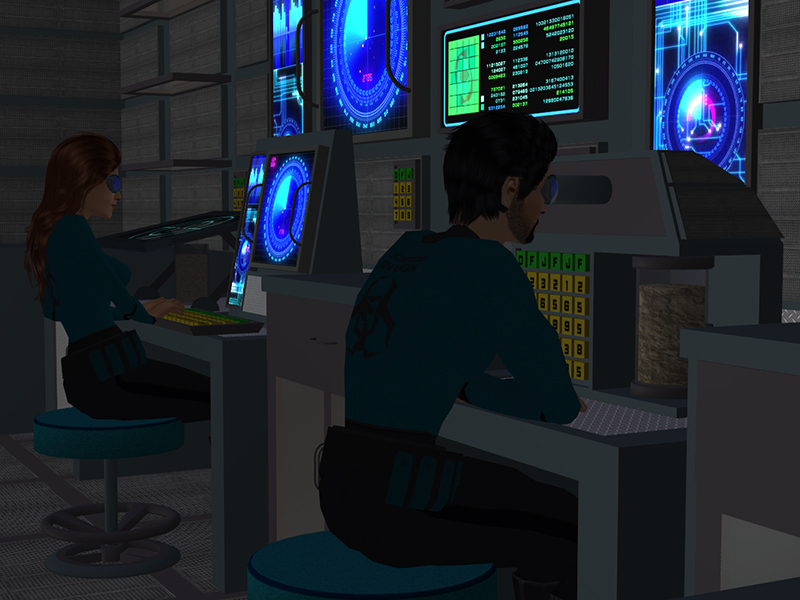 The Midnight overproject represents a return to my roots: sci-fi stuff. My original vision was much like Modular Furniture Series 4. The difference is that whereas MFS4 was utopian and clean-ish, Midnight is more gritty, for creating sinister, dystopian sets. The objects are made from scratch by me, and thoroughly tested. 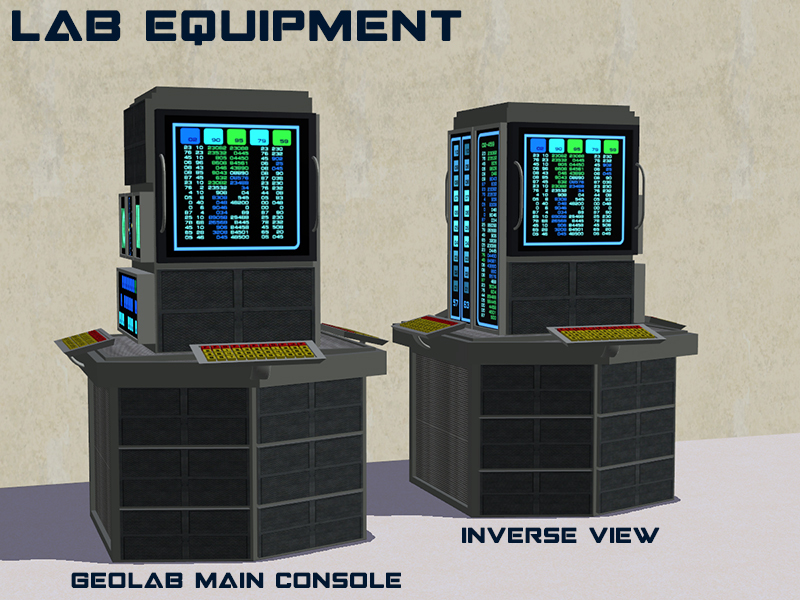 This is a medium-sized set for setting up research labs. 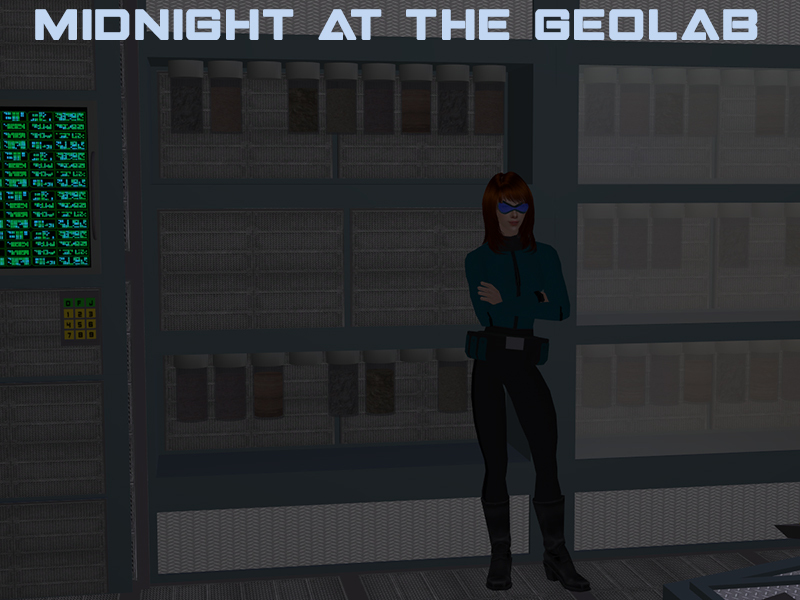 Remember the cool geological samples the away team brought back from Midnight on the Surface? Now it's time to analyze them! 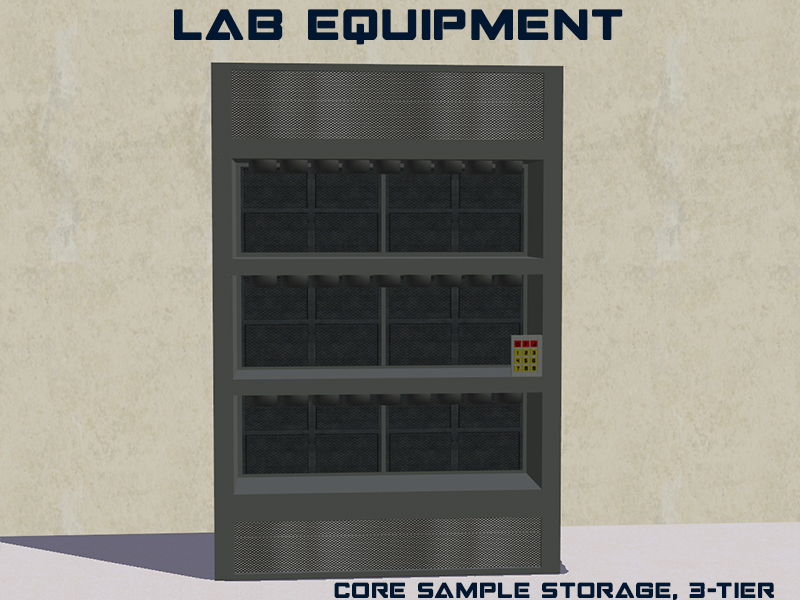 Lab Equipment: A set of functional, usable objects for analyzing geological samples. 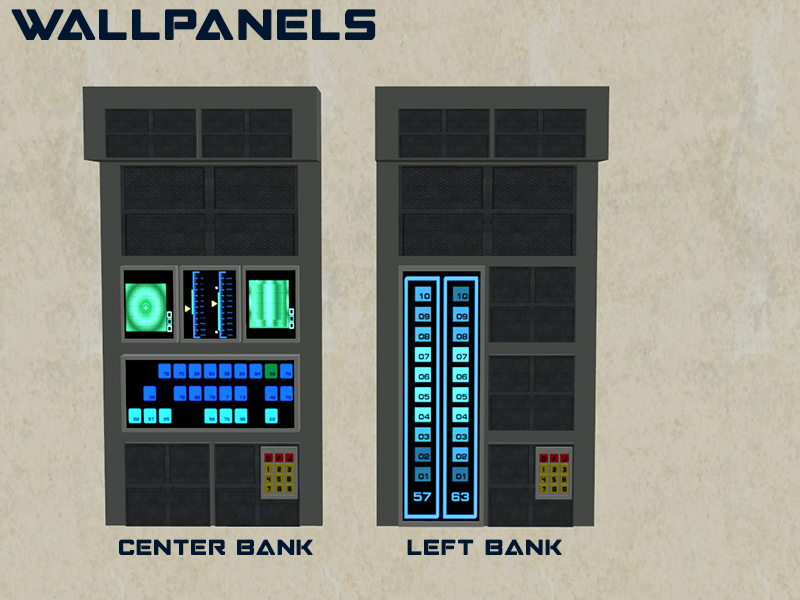 Wallpanels: A set of deco objects for covering your lab's walls. 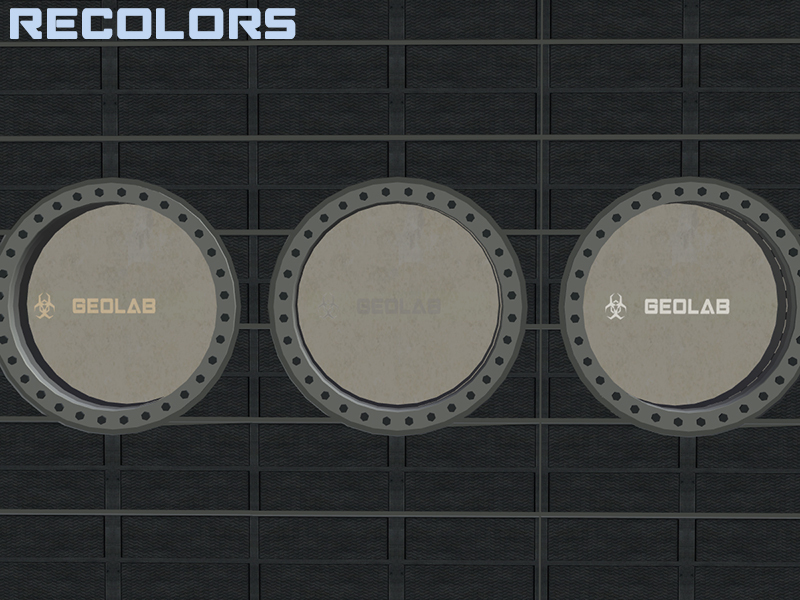 Also includes glass recolors, the geological sample from Midnight on the Surface, and of course a collection file. I've included the master objects for the base and chair textures in a separate folder. 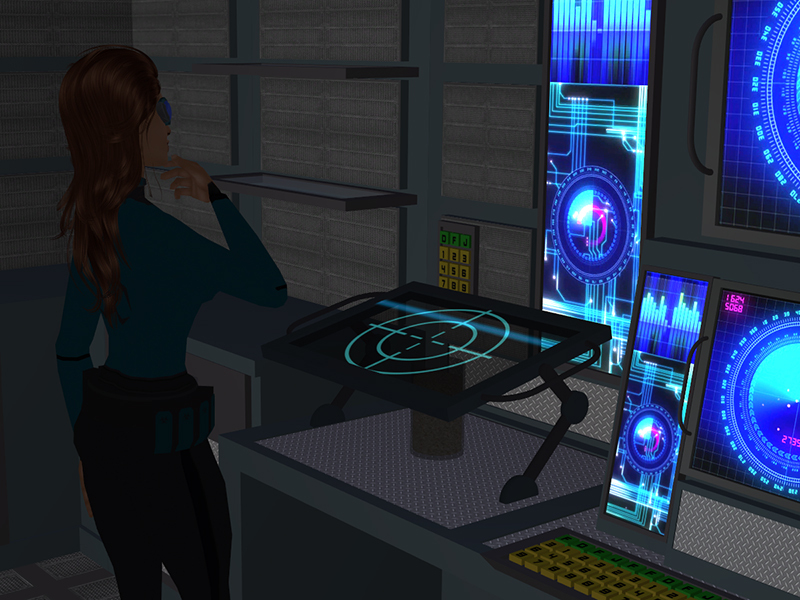 You don't need them if you already have Midnight at the Cryo Lab and Midnight at the Crew Quarters installed. Egghead stuff: No special features. 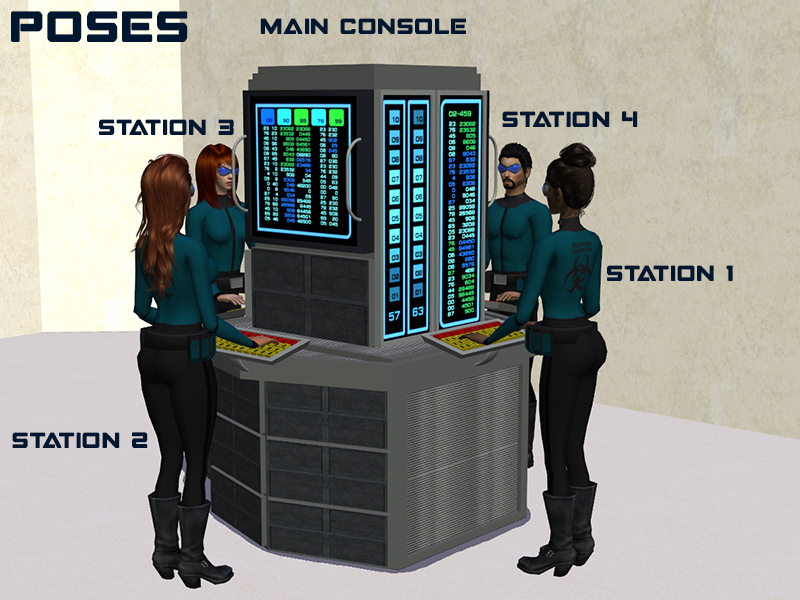 They work like Maxis tables. Egghead stuff: No special features. They work like Maxis counters. Egghead stuff: The stool works exactly like a Maxis dining/desk chair. The shelving unit is a place-anywhere object intended to be stacked on top of the desks and counters. 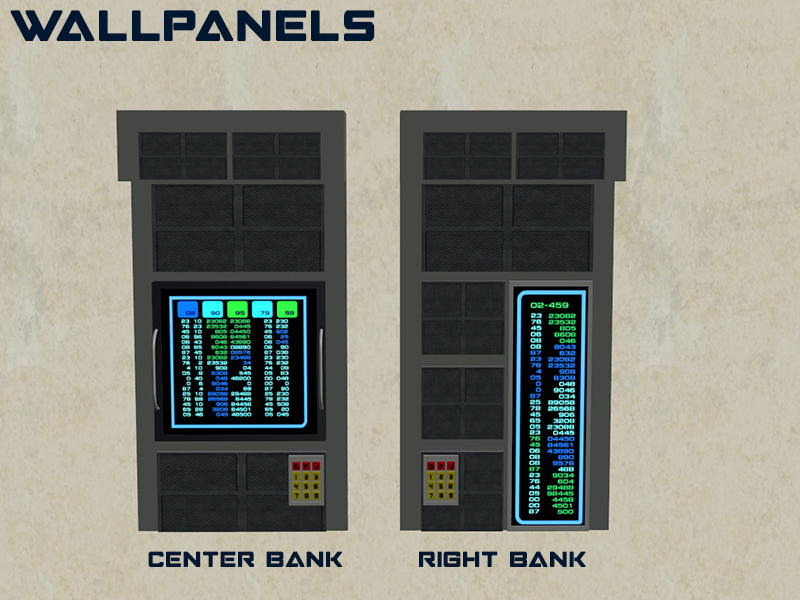 It has nine slots for deco objects. 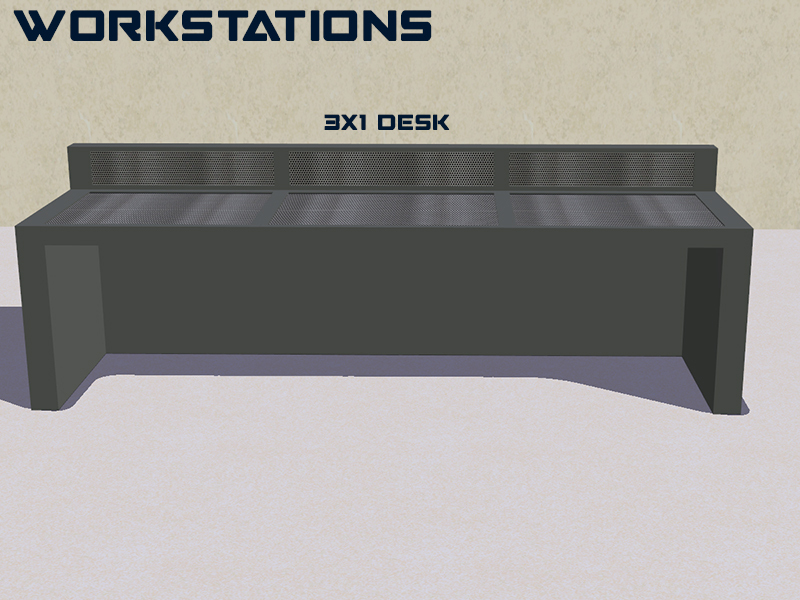 To use it, first load it up with deco objects, then place it on the same tile as the desk/counter. 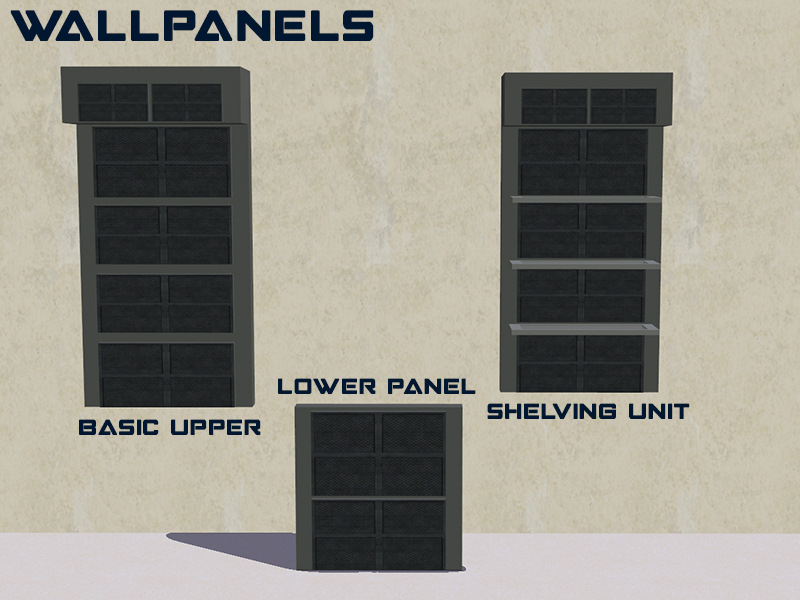 Egghead stuff: The upper wallpanels, with the exception of the shelving unit, work like a Maxis painting and are intended to be placed against the wall. The shelving unit is a place-anywhere object intended to be stacked on top of the desks and counters. 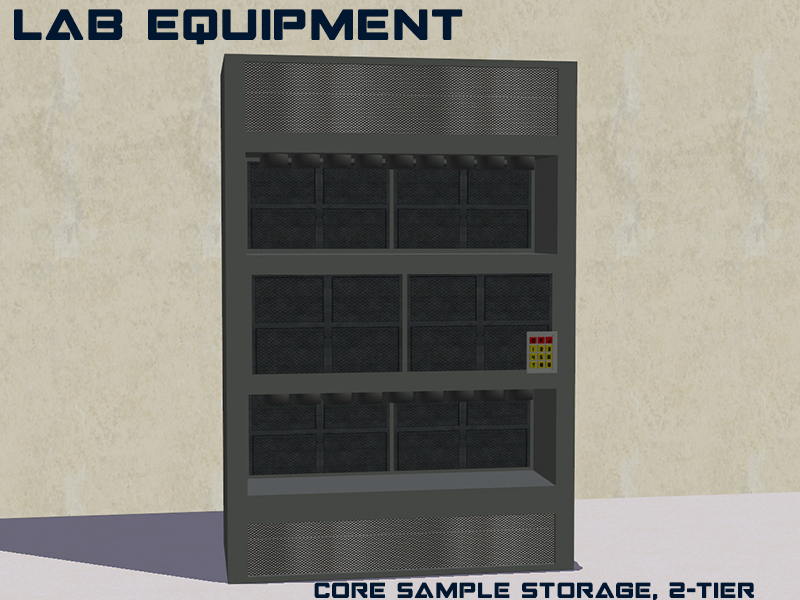 It has nine slots for deco objects. 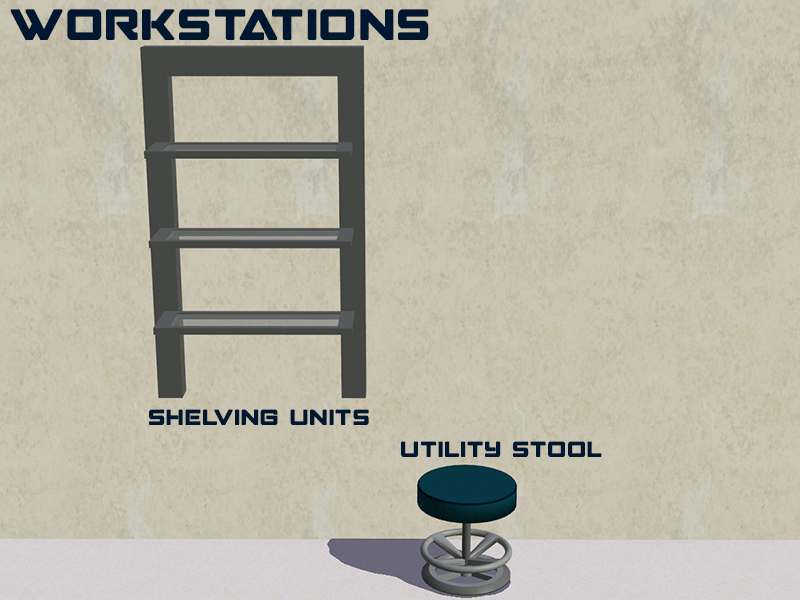 If you're using it on the same tile as a desk/counter, load the shelf up first before placing it. The lower wallpanel is a counter-height, place-anywhere object that can be used to fill in the gaps on wall tiles that aren't occupied by desks or counters. 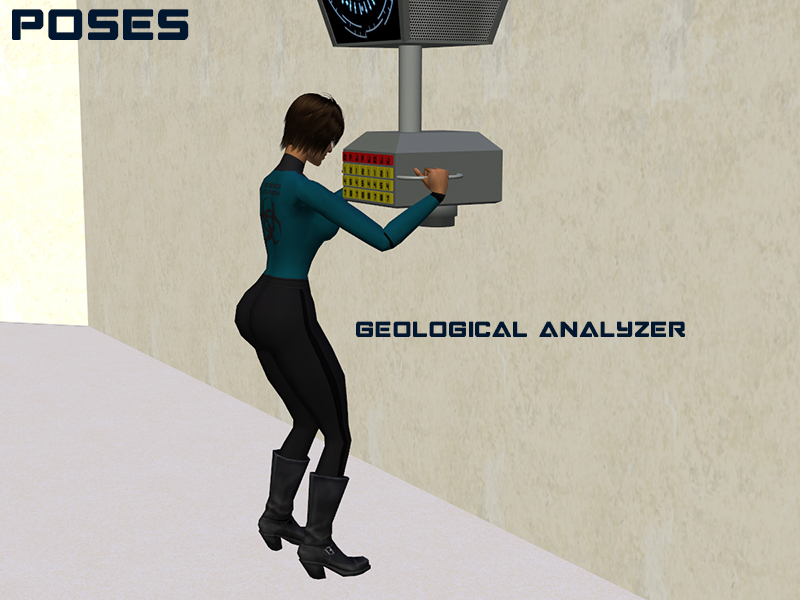 Egghead stuff: The analyzers are place-anywhere objects that can be used as both skilling objects and props for poses. 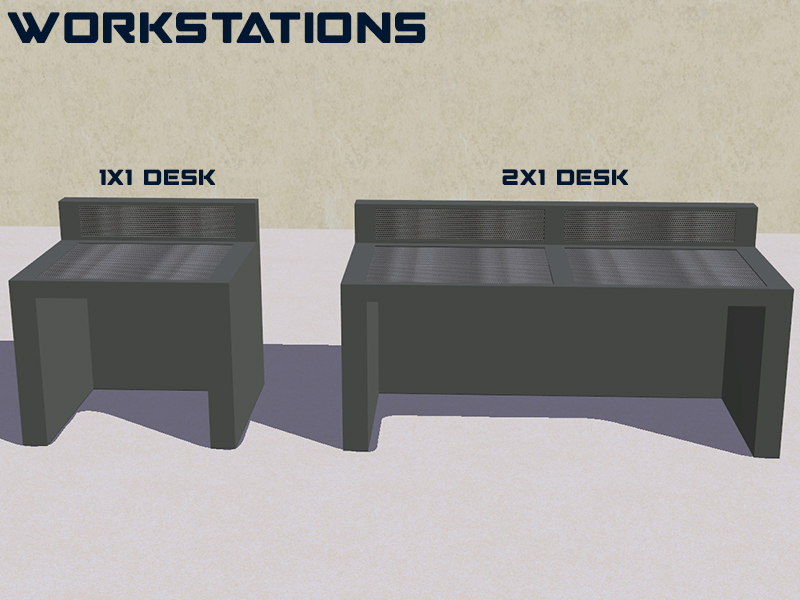 They can be placed over counters or desks. 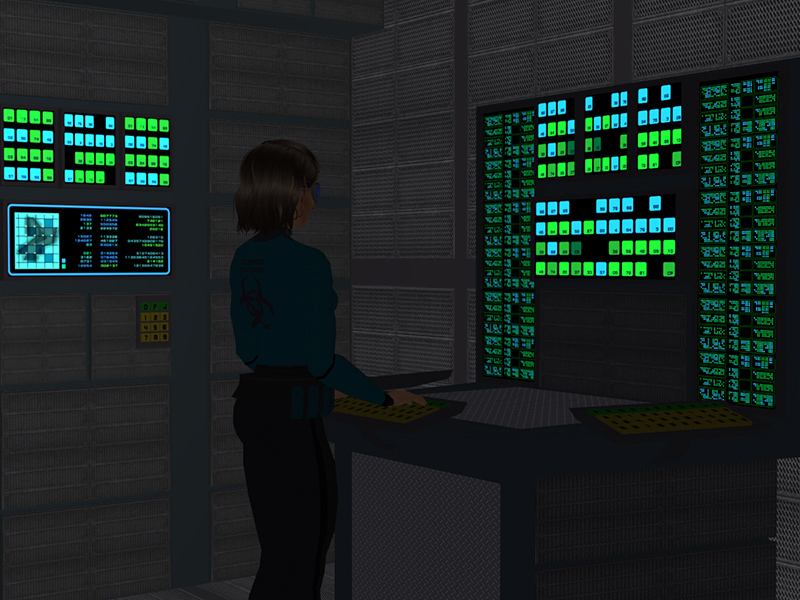 As a skilling object, the Sim activates the object, stands in front of it, and gains Logic by using it. 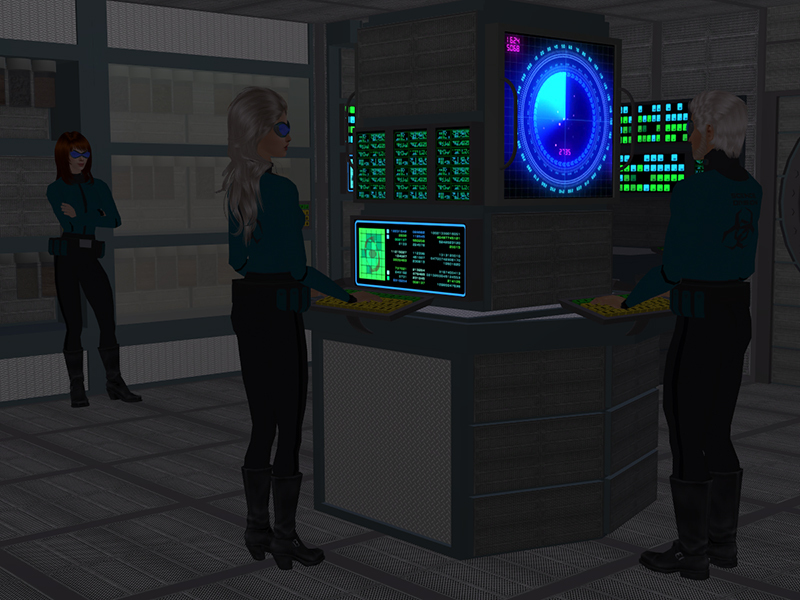 The beam is activated when the Sim activates the object. As a prop, the beam can be activated separately without activating the skilling interaction. 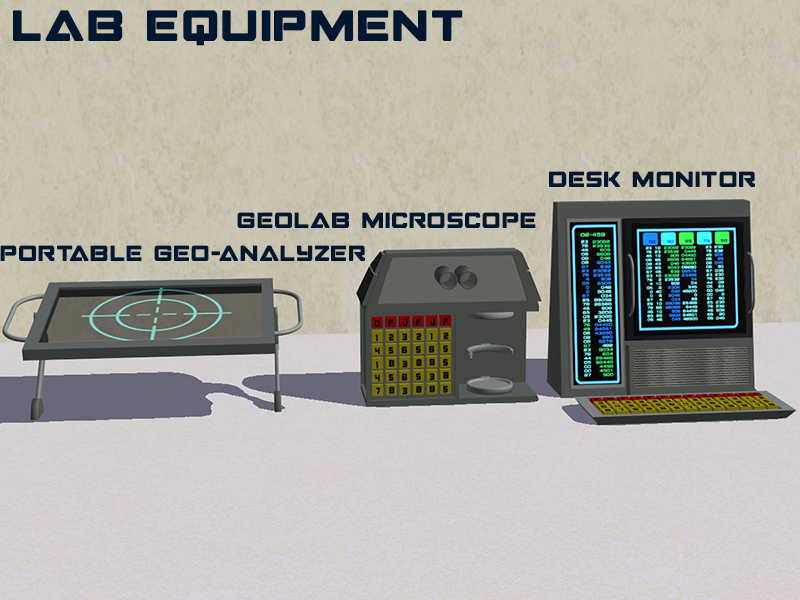 Egghead stuff: The portable geo-analyzer can be placed on desks or counters, and is usable as both deco and a skilling object. 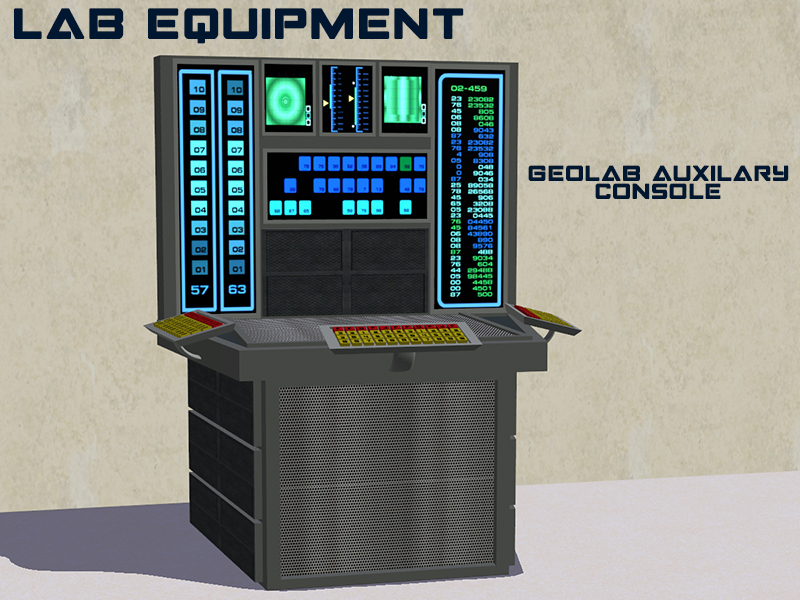 It has a deco slot for a geological core sample. 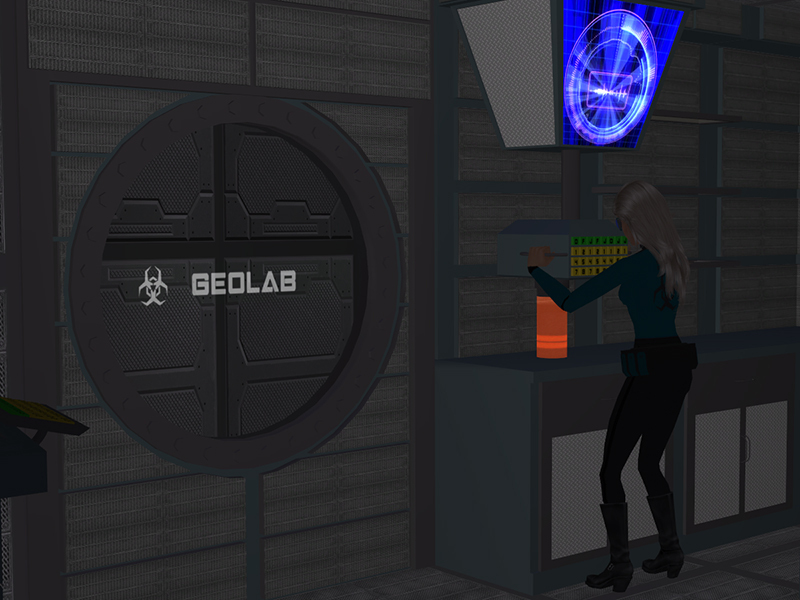 To use the slot, place the scanner on the floor, add the core sample, and then place the scanner on the desk or counter. 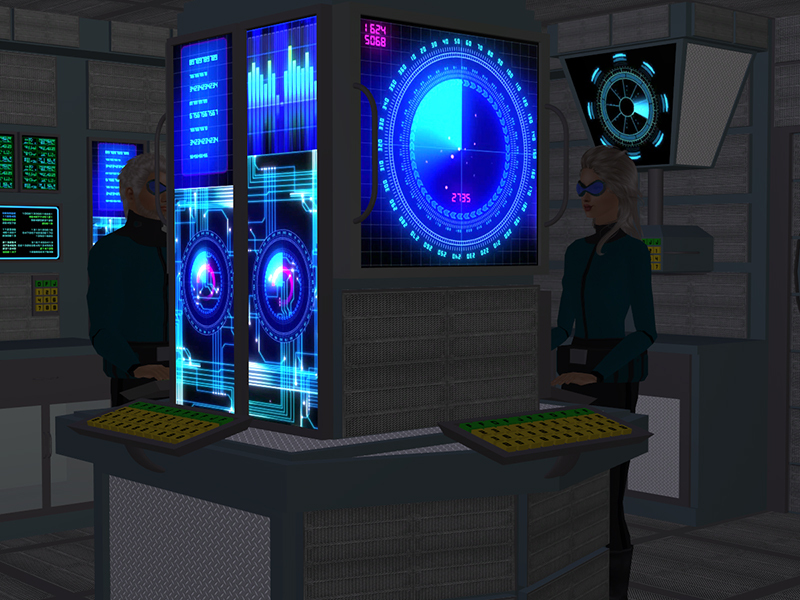 As a skilling object, the Sim activates the object, stands in front of it, and gains Logic by using it. 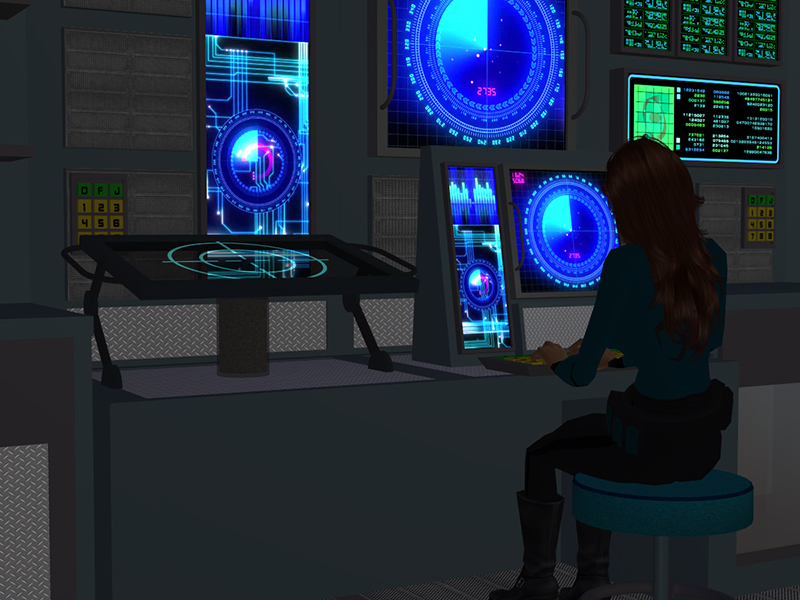 The scanner beam is activated when the Sim activates the object. 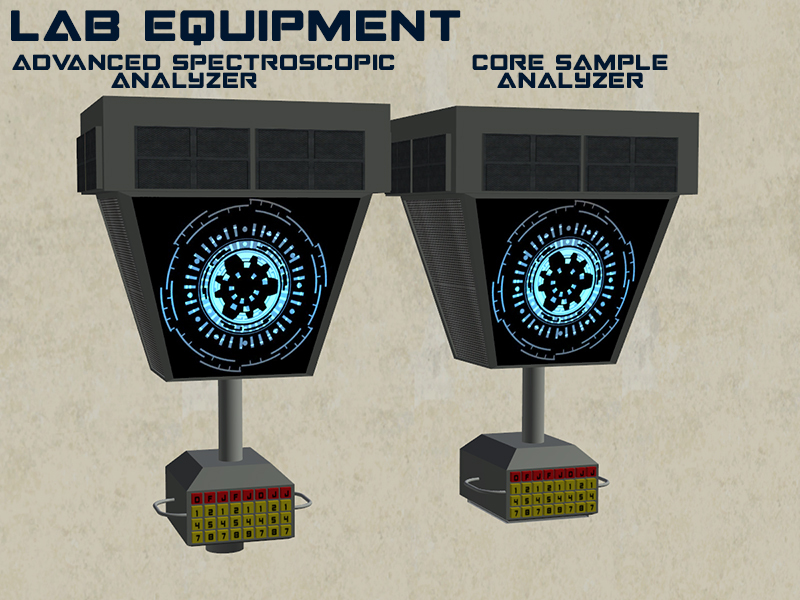 As a prop, the scanner beam can be activated separately. The microscope is a skilling object with a deco slot that can be placed on desks. To use the slot, place the micrope on the floor, add the core sample, and then place the microscope on the desk. The sim can then use the microscope to gain Logic. 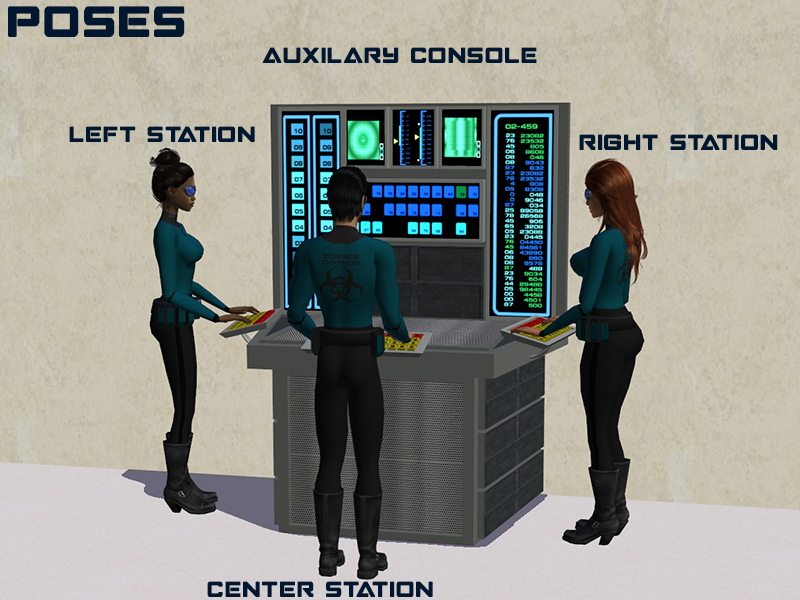 The desk monitor works like a Maxis computer. 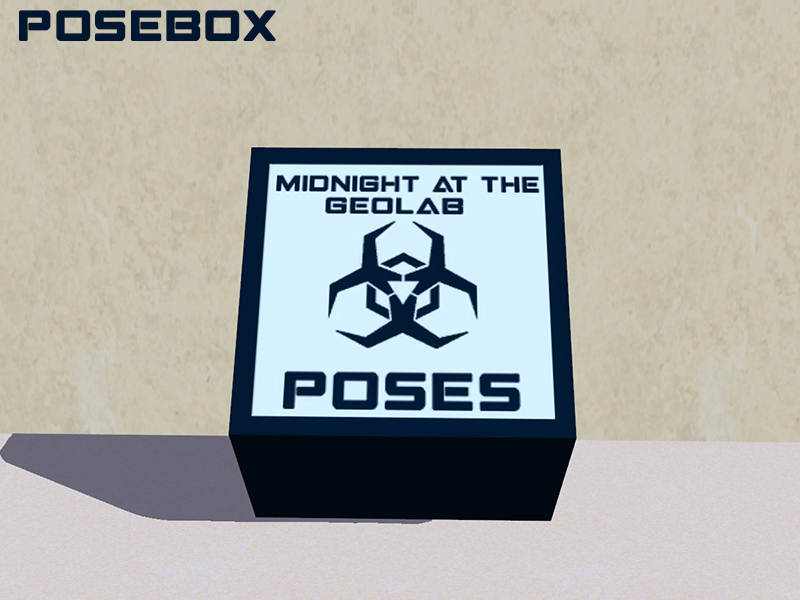 Egghead stuff: The posebox contains nine poses for use with the lab equipment in this set, as well as scientist idles and face overlays. Here's a reference of the poses for this set. 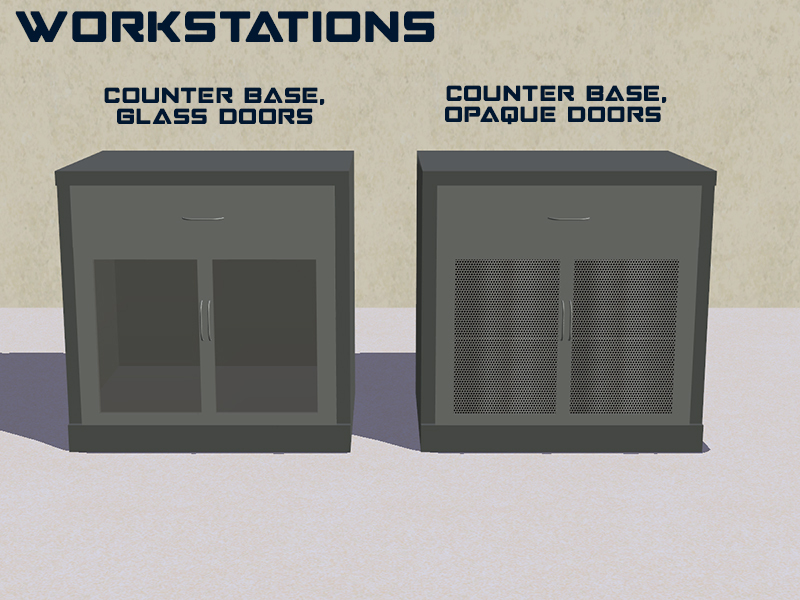 The geolab set includes three glass recolors for the cryo lab doors and windows. 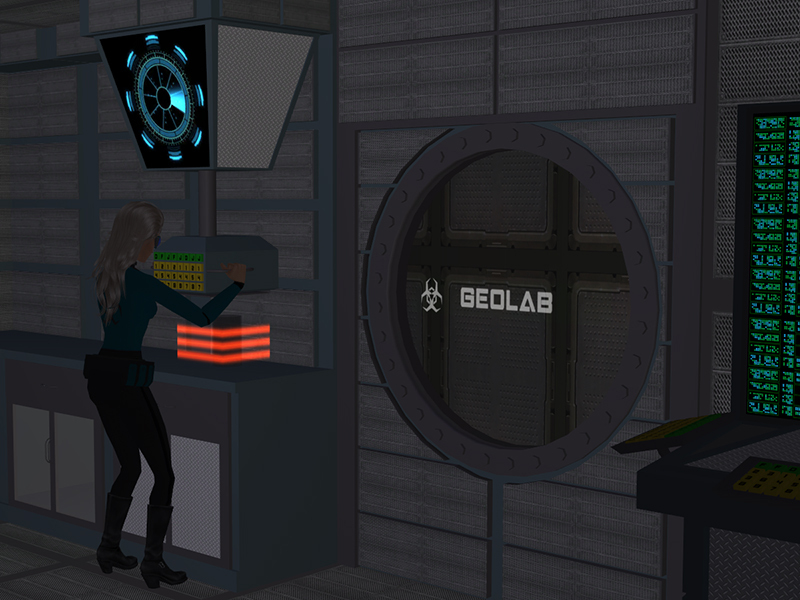 The Science division works in the geolab to analyze the core samples that the away team brought back with them. Supongamos que una de las muestras contiene un virus desconocido. Como siempre hay posibilidades de que ocurra un accidente. Imaginá que el virus se propaga y la gente normal comienza a convertirse en Conis... ¿Cómo harían para aplicar el antídoto, para que la población recupere la cordura? .Jajá. Me encantó Midnight at the Geolab. Gracias, J. En puros Conis? Ay, no, que horror!!! Supongo que tendrás que esperar hasta que salga Midnight at the Medlab para tener la respuesta. Gracias por tu retroalimentación. Me agrada que te encantó el proyectito. Hay mucho más de Midnight más adelante.